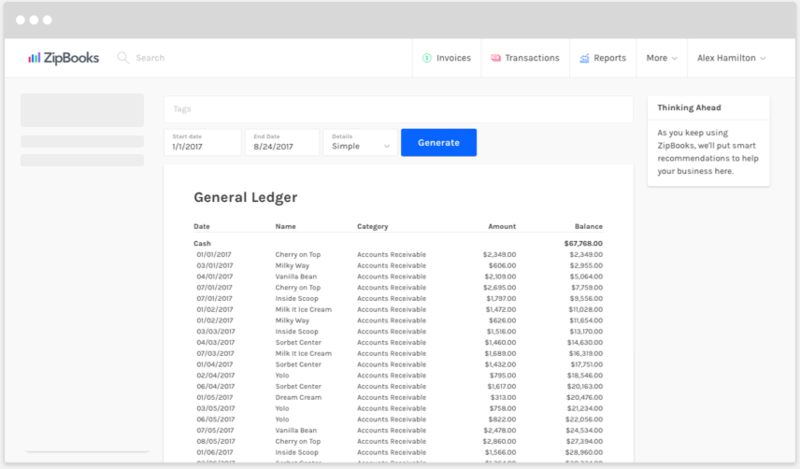 A general ledger is a business’s set of accounts (assets, liabilities, owners’ equity, revenue and expenses) along with a complete record of transactions within each specific account during a period of time. It’s used together with the trial balance to ensure accurate financial reporting. ZipBooks creates a convenient general ledger for you, based on the parameters you choose, with simple or detailed transaction information. If you see anything off in your trial balance, pull up your general ledger to find the discrepancies, so you can be prepared to generate on-target financial statements for your business.